The last four occupiers of the Malheur National Wildlife Refuge in eastern Oregon are preparing to surrender, a member of the group says. Sean Anderson said they would leave the complex on Thursday morning, February 11, in a live broadcast on the internet. Earlier, the FBI moved in on the group, which had been entrenched for 40 days. The occupiers are protesting against federal government control of local land. One activist died in an earlier confrontation with police. Agents were placed behind barricades near the self-styled militia’s encampment, an FBI statement said. All four of the militia – a husband and wife and two other men – were said to be present during a discussion, broadcast live online, about how they would put down their weapons and walk out of the refuge at 08:00 local time. They will meet a Nevada lawmaker, Michele Fiore, and a preacher who are travelling to meet them. Michele Fiore, a Republican member of the Nevada state assembly, was also on the live conference call. She said that the FBI had “given us their word that they are going to stand down tonight” on the understanding that the four would leave the complex in the morning. As well as Sean Anderson, 48, the other occupiers have been named as Sandy Anderson, 47; David Fry, 27; Jeff Banta, 46. The four had refused to leave despite the arrest of the group’s leader Ammon Bundy last month. He has urged those remaining to stand down. 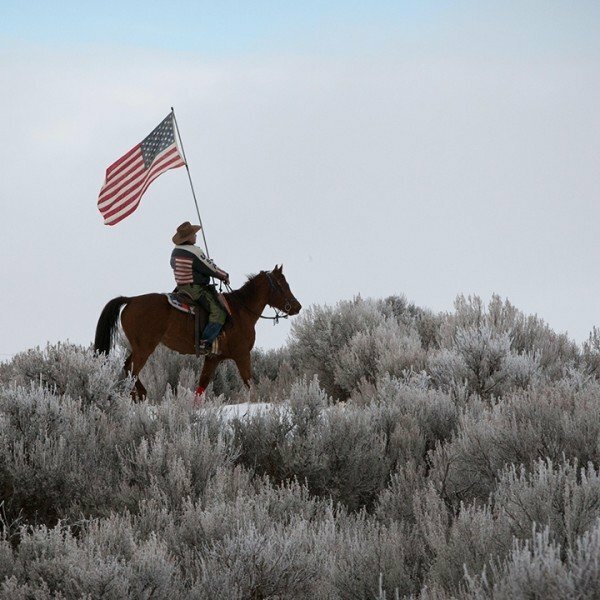 The Malheur National Wildlife Refuge was seized early in January. The armed takeover was sparked by the return to prison of two Oregon ranchers accused of burning federal land. It developed into a wider protest demanding the return of government-controlled land to locals. Ammon Bundy and others were arrested late in January in a confrontation with police that left one of the activists, LaVoy Finicum, dead. The FBI said its agents moved in on the four on February 10 after one of them drove a vehicle outside barricades erected by the group. “We reached a point where it became necessary to take action in a way that best ensured the safety of those on the refuge, the law enforcement officers who are on scene, and the people of Harney Count,” the statement said.